I think it looks great as is. 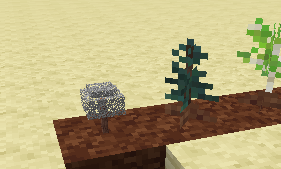 Irks me they don't take biome shading.. you'd think SAPLINGS would.. but nooo... boooooooooooooooo. Even though i am using 16x packs, out of preference, fast graphics can make quite a difference on performance in leaf heavy regions such as the jungle. Particles in comparision have barely any effect on the performance. What about in grass plains? There is still a lot of transparency that fast graphics don't help with. 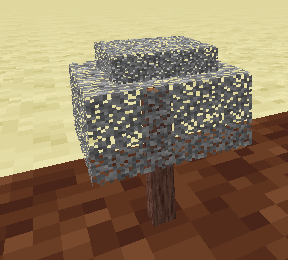 Turning down render distance would do more, or toning down other settings aside from the tree leaves. If you are using a 32x pack and need to boost performance, there are better options then fast graphics. 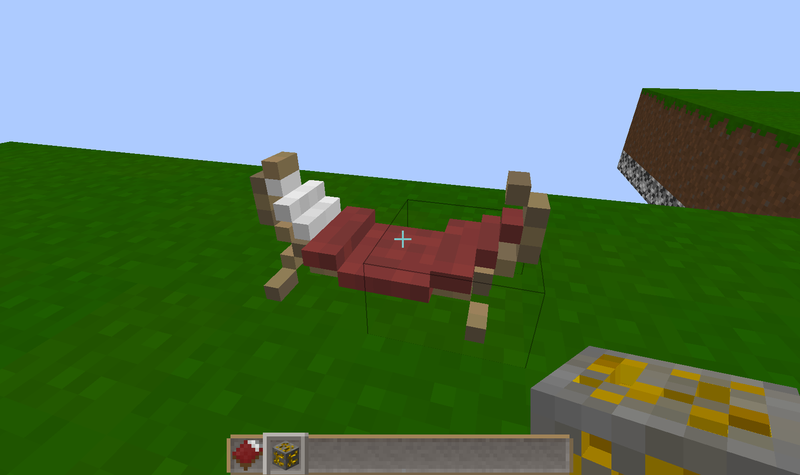 Couldnt you just add "tintindex": 0 like is done for redstone? Its in the json for the parent for leaves, so the flag should work for saplings too, no? I'm guessing that because tintindex is only whether or not recoloring is applied, the actual recoloring value is hardcoded, and has no default. Redstone, leaves, and the like are, by default, recolored..... while saplings and flowers aren't, so the system likely wouldn't "know" to use biome coloring because this feature was never added. 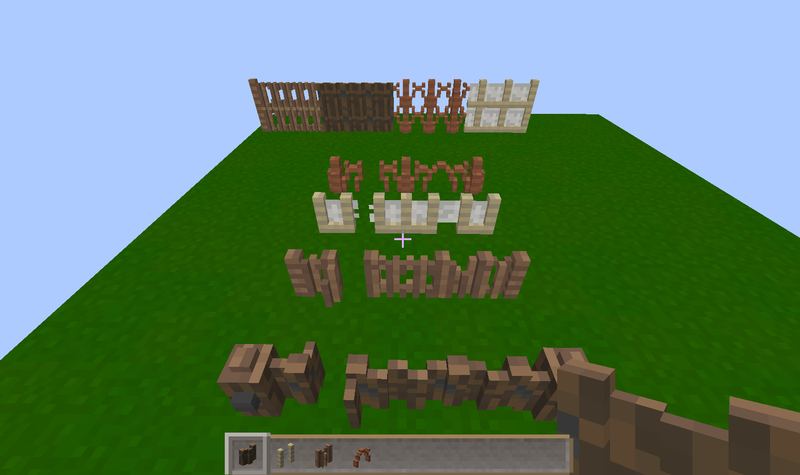 My leaves just added 3 planes to the normal block that extend past the blocks edges to apply a round texture to them. So they use two textures and on testing ina map of BIG trees, I didn't see any more of a performance drop then I normally get in forests or in this case, schematic BIIIG trees. Could you not give the sapling a parent value of the tall grass? Not the most amazing thing ever, but i got these double doors to work without the ugly mirroring and thick middle stripe. 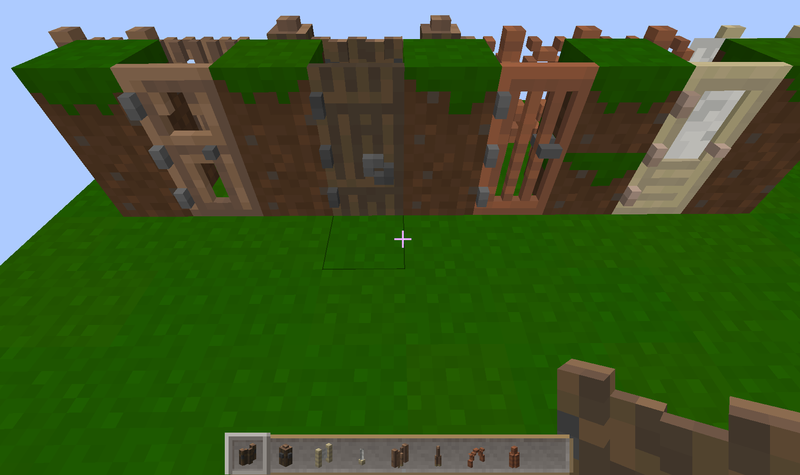 I still can not sort out how to make doors. When I try they don't kirror when together and the textures get screwed up when they open. I sorta explain that here. New Oak fence, stacked 2 high. Not sure how to do the gate. hmm. I don't think I would be able to stand having so many lamps all over my world, even if they were smaller. Why is that? 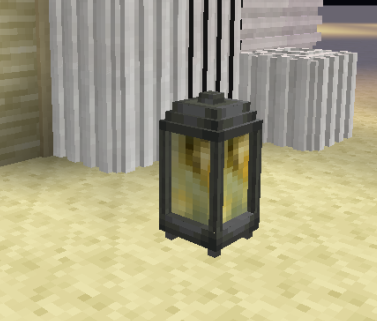 I thought this worked out better then the torch I currently have and it's similar to the midevil style lamps found. 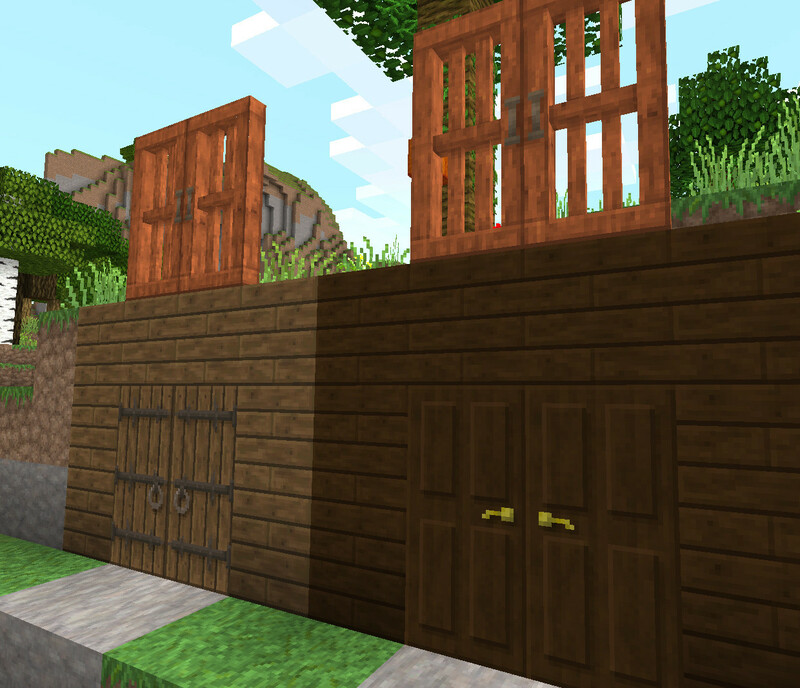 Those doors confuse me, could you give us some pictures with them next to solid blocks? Also, hammock bed, hee hee. 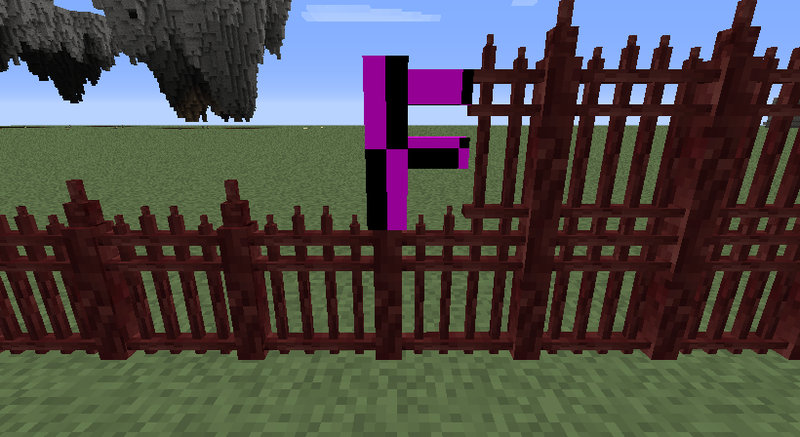 Experimenting with nether brick fencing.